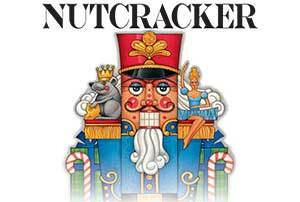 We are busy preparing for our annual production of Tchaikovsky’s delightful Christmas classic, The Nutcracker. We are proud to feature several professional male dancers in our performance. Sergey Pakharev will once again perform the role of Cavalier. Sergey trained at the Academy of Russian Ballet and received a diploma at the International Ballet Competition. He previously performed with the Fort Worth/Dallas Ballet and the Cincinnati Ballet, and now serves as Artist in Residence for MVDC. A large cast of dance students from Terre’s Dance Workshop will join MVDC dancers in the roles of mice, soldiers, clowns, and angels. Many of our current MVDC dancers started out in these roles as young dancers. Join us for this seasonal favorite! To reserve seats, call 937-435-0503. We are busy preparing for our annual Spring Production! 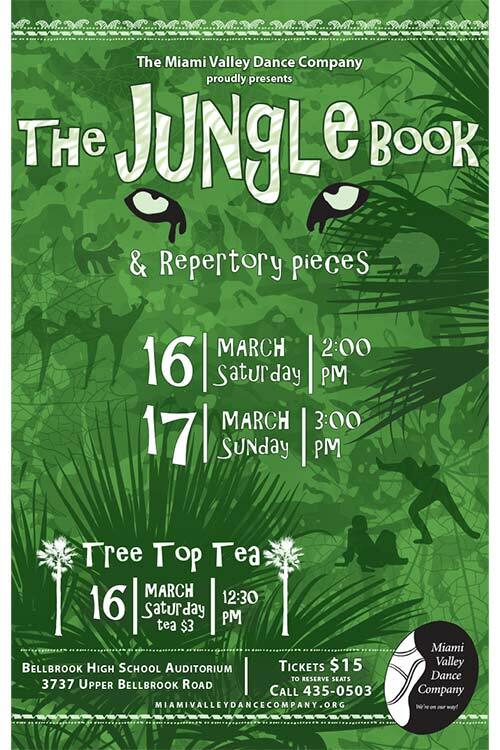 This year is The Jungle Book and Repertory Pieces. Shere Khan, the Tiger, is in hiding from the village hunting party. He is after a little boy who has been separated from his family. Lost in the jungle, the boy meets different birds and animals. Bagheera, the Panther, and Baloo, the Bear, take him to Rasha, the Mother Wolf, who calls him Mowgli and raises him as her own. The rest of the Wolf Pack accepts him. Time passes and Mowgli grows into a teenager with Baloo and Bagheera teaching him the Laws of the Jungle. They tell him the power of the Red Flower with Shere Khan, who still threatens him. Mowgli visits the village, where he sees Kitty his childhood friend. Returning to the Jungle, he has a disagreement with Baloo and Bagheera, and goes deep into the Jungle where the Banderlog Monkeys kidnap him. Baloo and Bagheera call on Kaa, the Python to help rescue him. Mowgli grows up and visits the village more frequently to see beautiful Kitty. When the threat of Shere Khan grows more dangerous, Mowgli fets the support of the villagers and the wildebeasts in defeating Shere Khan. The victory is celebrated by all. 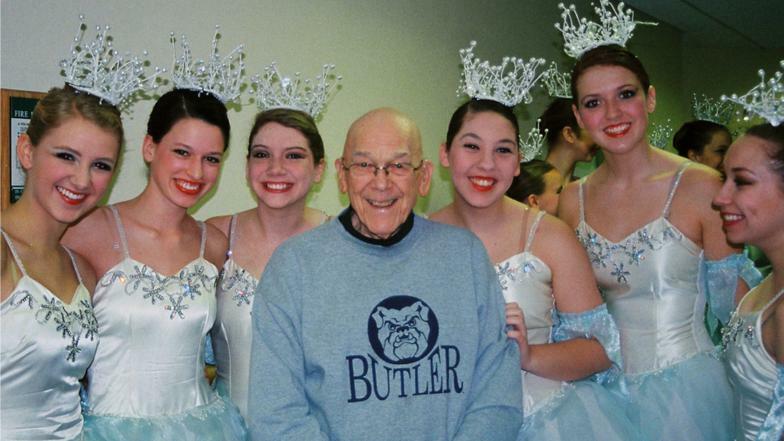 ​The Miami Valley Dance Company performs short sections from our shows out in the community. Come join us to get a taste of what we provide in our full performances! -Check back later for more information on our upcoming Outreach performances!